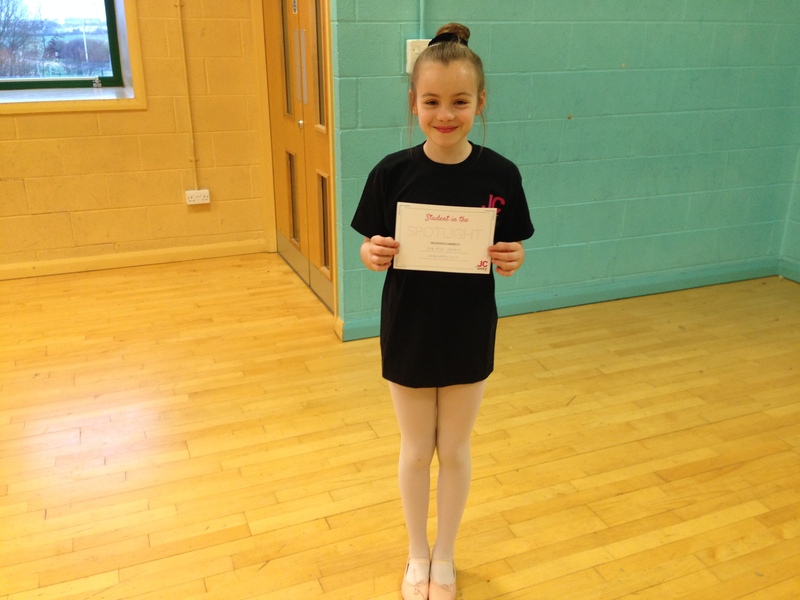 Eva –Rose has been dancing at JC Dance since 2009 and attends Ballet, Modern and Limbering classes. Eva – Rose has been awarded Student in the Spotlight because, although she has always tried hard in class, recently I’ve noticed a shift in her attitude and she is more focused, more hardworking and more determined to improve. Eva –Rose is a happy and lively member of her classes (if sometimes a bit too chatty!) and a good friend to her classmates, particularly those who she has danced with all her years at JC Dance. Here she is with her certificate wearing her winner’s t-shirt… Well done Eva-Rose!